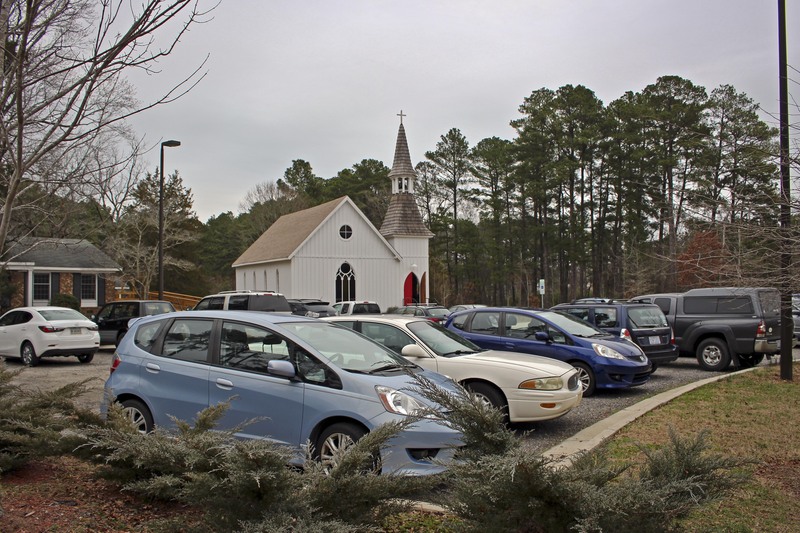 A full parking lot on a gray day. Truthfully, the weather was absolutely dismal today in central North Carolina. The chilly drizzle probably felt worse than it was because yesterday it was 80 degrees here. But this morning inside the cozy Episcopal Church of the Advocate, the gathered crowd was warmly attentive as the kick-off speaker for the lecture series sponsored by the Piedmont Patch Collaborative — the deeply knowledgable Debbie Roos — shared innumerable stories and facts about the wonders that abound in pollinator gardens. We saw beauty in the plants that varied in color, form, and texture, and in the astonishing diversity of insects and other creatures drawn to the flowers for food. We learned how critical caterpillars are to native birds that rely exclusively on them to feed their young. We asked many questions, and Debbie answered all of them. Many questions were asked and answered. I want to once again thank Debbie Roos for coming out on this gray, ugly day while still recovering from a nasty cold. Her enthusiasm and her spectacular photos brought sunshine to all of us despite the gloom outside. I also want to thank Barbara Driscoll, who represented the New Hope Audubon Society, the Piedmont Patch Collaborative’s newest partner organization. 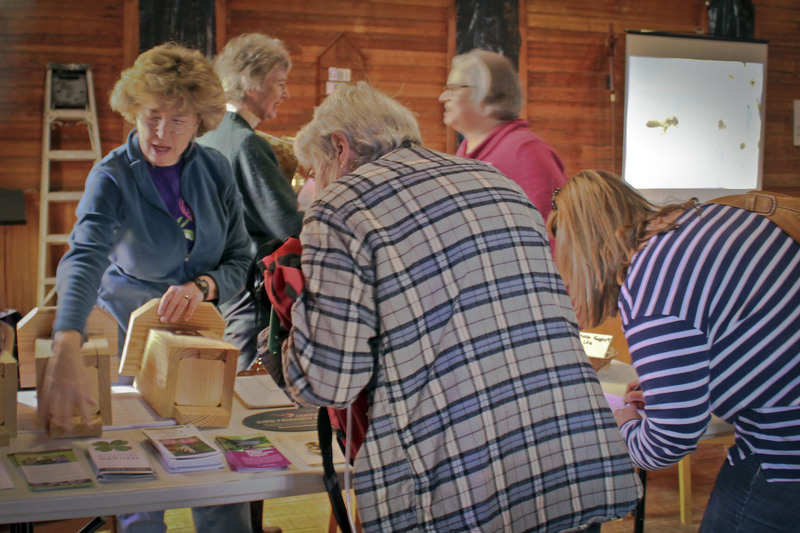 The literature she brought was snapped up enthusiastically, and she even sold several of the bird boxes she brought. Our sign-in table was busy before Debbie’s talk began. Finally, thanks to all the folks who came out this morning to hear Debbie’s presentation. 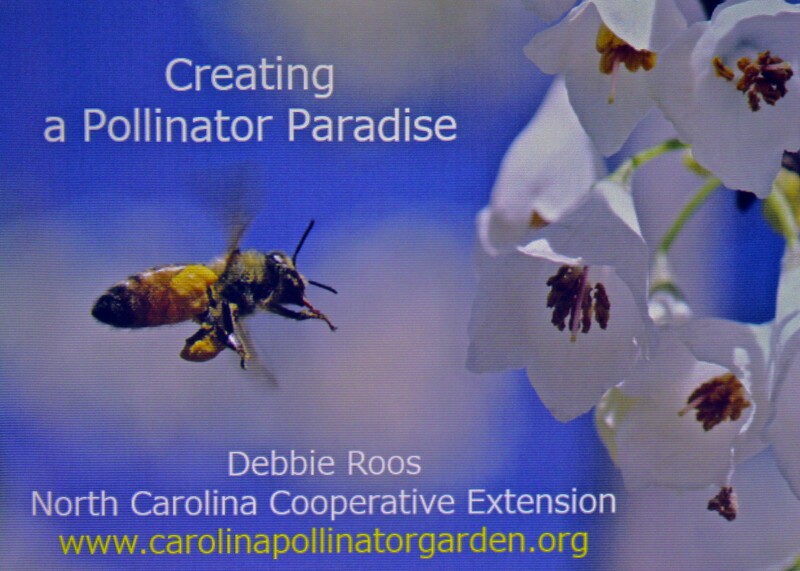 I hope you were inspired to start your own pollinator garden on your property. Every new Piedmont patch of native — or mostly native — plants is a lifeline for native pollinators and other wildlife being devastated by the rapid urbanization of our region. Please keep checking the Web site of the Piedmont Patch Collaborative. 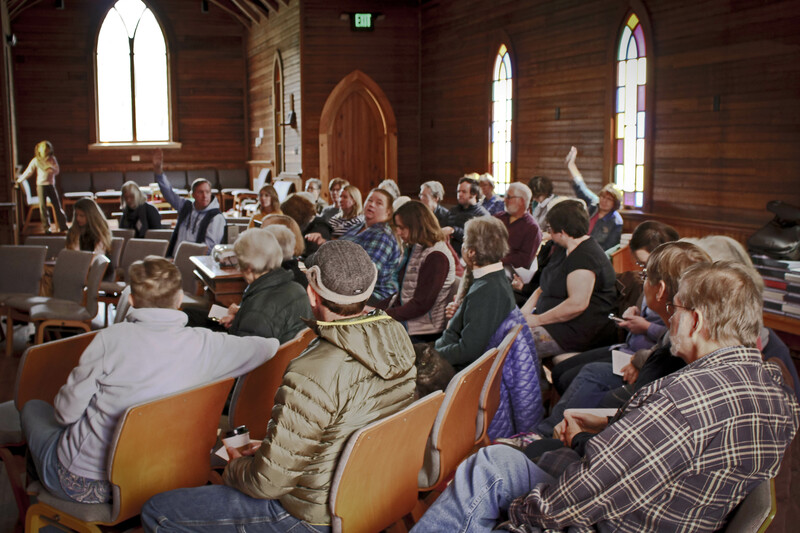 We’ll be adding resources to help you with your own Piedmont patch projects, and we’ll be offering additional lectures and other educational opportunities at least every quarter. We’re dreaming big and acting locally. Please join us! This entry was posted on February 17, 2018, 10:08 pm and is filed under Native Wildlife, piedmont gardening, Piedmont Patch Collaborative. You can follow any responses to this entry through RSS 2.0. You can skip to the end and leave a response. Pinging is currently not allowed. Sorry to have to miss it. Looking forward to the website content! Our hope is that by year’s end, this first site we are transforming will be far enough along to serve as a teaching tool the public will be able to visit, enjoy, and learn from. If you’d like to be kept informed of upcoming events, please send an email (piedmontpatch@gmail.com) indicating you’d like to be added to the mailing list. I’ve subscribed to your blog forever via a feed reader, but haven’t been checking any blogs as regularly as I like due to general busy-ness. I am so glad I caught your post in time to make it! I’m even in one of the pictures at sign-in with my dear friend, who is the older woman who was on oxygen. I already have a pollinator garden that I’m looking to improve, and I have been to Chatham Mills many times when I lived on the Haw River. Fascinating talk, love the church, and am so glad I didn’t miss it! I am also glad you found out about the talk in time, Christy — and that you enjoyed yourself! 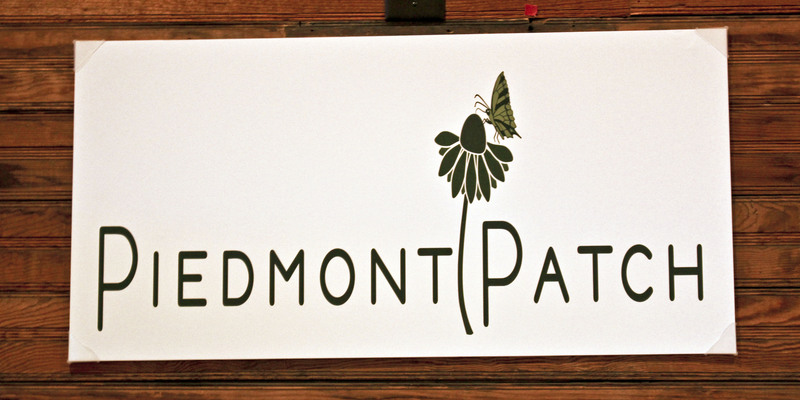 Please keep checking the Piedmont Patch web site (www.piedmontpatch.org) for future events and other helpful information. Thanks for the feedback!